This article was Fast-Tracked. Find out what that means or submit your apps and services to be Fast-Tracked. Today, you can buy almost anything online. 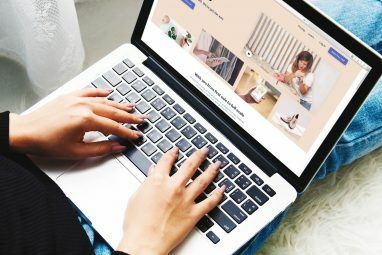 Since there are a multitude of Internet retailers offering every product you can think of, trying to find the best price can become a little intimidating. Online shopping, which we’ve written plenty about, has become so big that there’s no way any person could hope to keep track of all the price drops and deals that occur dozens of times in a day. Fortunately, there are online services to uncover the best deals for you. Once such service is PriceZombie, which is a newcomer to the field but has high aspirations. Let’s take a look at how using PriceZombie can benefit you when spending money online. PriceZombie’s website allows you to look up different items and check out their prices all over the Web. Type in any item, and you’ll be greeted with a number of partial matches. Choose a more specific item for details. You can view the current prices at different stores, as well as the historic high and low prices at any one retailer. If you’re really interested in price trends, you can check out the graph, which will show you the movement in price over the past several months for the item in question. If nobody has the item at a cost you’re willing to pay, you can tell PriceZombie to alert you when it hits your desired level. The service gets even better, however, with its Chrome extension [No Longer Available]. Install it, and you’ll know when you’re on a compatible page based on a small icon in your omnibox. 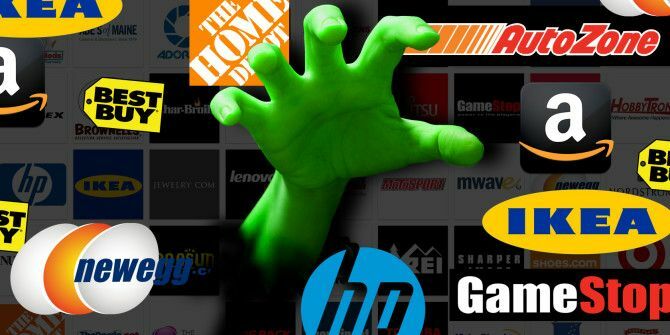 The extension works with dozens of online retailers, including Amazon, GameStop, Best Buy, Auto Zone, HP, IKEA, Newegg, Target, and The Home Depot. When you click the extension icon, you’ll get info about the item. In the popup, you can view the historical pricing of this item at the current site (Newegg), see how much it costs now at other stores, or add it to your watchlist. It’s much more convenient than having to manually find the right item on the PriceZombie website. To prove that the service is finding authentic prices, PriceZombie includes screenshots of the historical high and low prices. Find an item, and next to the extremes you’ll be able to view the screenshot of the other price – if you doubt that the app is doing its job, try this feature out. If you’re not a fan of using Chrome extensions, PriceZombie offers a bookmarklet instead. 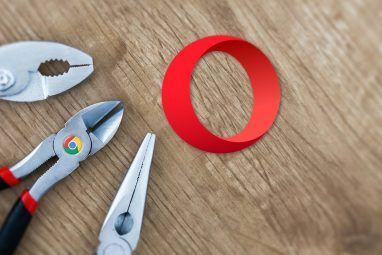 Bookmarklets are underrated alternatives to extensions Stop Installing Browser Add-ons - For a Faster, Leaner Browser Use Bookmarklets Instead Stop Installing Browser Add-ons - For a Faster, Leaner Browser Use Bookmarklets Instead Read More that don’t run in the background – keeping your browser light. 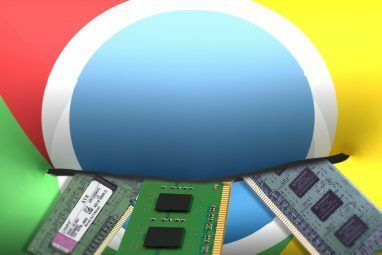 Simply drag it to Chrome’s bookmark bar 3 Steps To An Organized & Simplistic Chrome Bookmarks Bar 3 Steps To An Organized & Simplistic Chrome Bookmarks Bar Who doesn't love bookmarks? The promise to remember an interesting website and visit it later when you will have more time to enjoy it. The endeavor would be easier if you hadn't bookmarked several hundred... Read More , and click your new bookmarklet when on an applicable page; you’ll be taken right to PriceZombie’s info for that item. It’s just as functional as the extension and for almost anyone using the service, it’s probably a better choice. If you’re not looking for any specific item, but just to become more knowledgeable about shopping overall, PriceZombie’s Price Trends feature will prove interesting. Choose a category, like Books, Vehicles, Jewelry, or Appliances and you’ll see a chart detailing price trends of the past year for that type of item. Evidently, book prices rise in the Autumn and Winter months, so buying them at another time would be wise. Let’s check another category: Movies and TV. This group is the opposite of the above; the best time to buy Movies and TV is in the late Summer and Autumn. This tool is quite useful; try it and see if you’re a savvy shopper! Many online retailers and some credit cards offer price protection – meaning that if you purchase an item and the price drops within a few weeks, you’ll be refunded the difference. This can be hard to keep track of, however, and differs depending on where you buy and what type of card you use. PriceZombie’s Price Protection Tracker takes care of the work for you. If a price drop happens, you’ll be notified so you can be reimbursed. You’ll never be burned on a purchase again! If you love browsing deals, PriceZombie’s Lowest Price Ever section can be a great place to find items cheap. This part of the site does not divide items by category by default, but rather shows products that have been discounted sharply. Once an item reaches an all-time low price, it will show up here. Granted, because it determines this by a percentage, a product may only be a few cents cheaper than usual to be considered its lowest price ever. Not all items are like this, however, and you should check here often to find some discounted goods. If you’d like to only see certain categories on this page, you have that option, too. Similar to the Lowest Prices page is the Price Drops page. Instead of showing items that are priced at historical lows, it shows items with the biggest reductions. This is the place where you’ll find discounts as huge as 90% off. At the time of writing, for instance, a pair of shoes normally priced at $47 was available for around $16. You can filter by category here, too, if you want to find more specific deals. With PriceZombie working for you, you don’t have to worry about getting a good deal when shopping online. A quick check when you’re about to make a purchase could end up saving you a lot of money; coupled with its other tools, it is essential for anyone who purchases goods online frequently. PriceZombie’s extension is also available for Firefox [No Longer Available], with Safari support on the way. The bookmarklet, however, will work in any browser. If PriceZombie isn’t a fit for you, Yaara has covered some different Chrome extensions to enhance Amazon shopping Improve Your Online Shopping Experience With These Amazon Extensions For Chrome Improve Your Online Shopping Experience With These Amazon Extensions For Chrome Do you shop on Amazon? Even if you don't shop there regularly, you must have purchased at least an item or two in the past year. What is it about Amazon that makes shopping so... Read More . Do you use an extension for online shopping? How do you find the best deals? Leave a comment and help out your fellow shoppers! Explore more about: Google Chrome, Online Shopping. Wow, cool! I feel official now! I tried this site and it's horrible. The results are jumbled mess and they aren't organized at all. It's like they are trying really hard to do 100 things but each one has a horrible delivery. I am sure there are better alternatives out there than a zombie price comparison site. Hell I can do a better job by going to 2-3 sites and comparison prices manually before I buy. I'm sorry you feel this way. As I've mentioned to others, the extension/bookmarklet is where the service does the best. It's better when you can quickly jump to an item you're viewing instead of having to search for the exact one. I couldn't disagree more. Using the search filters, I am able to narrow down the search to the items and stores I want. Search results depend a great deal on terms used. If you search for generic terms like 'white shoe', you're going to have a bad time. I apologize for the confusion, John. I'll ask about this. They now have UK results. I had the same experience as TonyW. A very simple search that was one of the worst ones I've experienced since the days preGoogle. Modifying it helped none at all. What a mess! IMHO Google is no better for relevance. To be honest DuckDuckGo search engine is many fold more relevant to the search parameters. As I replied to Tony, I believe the service is better when you use the bookmarklet/extension. The search is a bit clunky, but tries to be specific. Have you tried using the bookmarklet on an Amazon page? I tried a search for "Asics Mens GT2000 2" and the results were a complete mess, with PriceZombie reporting 579 matches, very few of which were relevant on *all* keywords. The rest of them were the same MSRP prices as I got with the better comparison engines. I don't need PriceZombie to tell me the price of these shoes at Nordstrom. Tony, it initially seemed that way to me too, but after some digging I found the items I searched for in the results. The issue appears to be the different stores listing the titles of the shoe differently, so the ones that don't match exactly aren't going to the top. Perhaps they can tweak the weighting of the results. You can also use the store filter on the right to eliminate stores you aren't interested in. The browser extension ended up being much more useful to me, as I didn't have to scan through the results to find the item I wanted. I must be the only one here who knows how to search. I'm sorry you had trouble, Tony, but I agree with Matt. This service really shines when you use the bookmarklet/extension, as you're able to see prices for exactly what you're looking for. The search isn't great, I'll admit, but they want to be specific. Great write-up. I appreciate the detail in there, Ben. Totally going to give this a test against the other web apps in the field. Thanks for sharing! Thanks, Kannon! Glad you liked it. I'm going to keep the bookmarklet around, as well. Nice to double-check to see if you're really getting the best price, and it works well enough! I don't use Chrome (it's ugly and its extensions are underpowered); I'll try the bookmarklet in Firefox. How is this in any way better than Pricewatch? The article mentioned there is a firefox extension too. Pricewatch does price comparison, but it lacks price history.